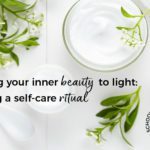 Whether you buy your haircare products or follow DIY recipes found online there are many reasons you should stop for a moment, look at the ingredients, and consider if they are really the best thing to be using. Why should you detox your haircare products? Many DIY haircare recipes are completely unsuitable for hair and will actually cause it damage. Some commercial shampoos have an unsuitable pH. 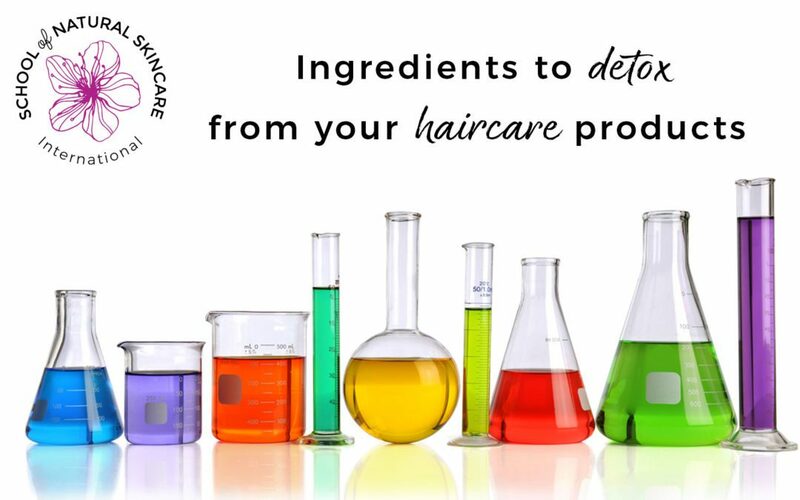 There are a lot of undesirable and potentially harmful ingredients in commercial haircare products. Marketing claims can be misleading. Even if you use products labelled ‘natural’ or ‘organic’, they can still contain undesirable ingredients. Some brands use animal products or still test on animals. Formulating isn't just for Cosmetic Scientists, it's for you too. We're going to show you how. Understanding the pH of your haircare products...and why that matters! Join us to begin your journey. Sign up now. It's free! What ingredients or products should you avoid? DIY shampoo ingredients that cause your hair damage. Shampoos with an unsuitable pH. Potentially harmful ingredients that cause skin irritation or can be toxic. Ingredients that are a problem for the environment. Which you choose to eliminate will be up to you. You may choose all of them. Or you might just choose some, for example, you may feel strongly about using Vegan products. Or you might want to avoid synthetic ingredients instead. There is no right or wrong answer – it really comes down to what is most important to YOU. The pH of castile soap is very high (or alkaline – the opposite of acidic), around 9 -10, which is completely unsuitable for hair. When hair is treated with an alkaline product, it will leave the cuticle cells open and prone to damage. Hair with an imbalanced pH will also be a lot more prone to breaking and tangling. Soap bars are very similar to liquid castile soap, but they have a solid form. The chemistry behind these two products is the same and they both have a pH which is way too high for the hair. Soap bars will clean the hair effectively, but since they won’t close the cuticle down, or balance the pH of the hair, it will leave the hair dry, tangled and prone to further damage. Baking soda can act as a degreaser, so it will remove some of the oils from the hair, but it won’t do it very gently. A solution of baking soda in water has a very high pH, (about 9.5), which is too high for the hair, and can irritate your scalp. It will not close the cuticle, and will eventually leave your hair brittle and prone to breakage. We’ve just seen that many DIY shampoos have a completely unsuitable pH for the hair. But even commercial shampoos can have an unsuitable pH too! Hair needs a slightly acidic pH in order for the cuticle to be closed down, which protects the underneath layers from damage, and to decrease the static electricity which causes tangles and damage to the hair. You can check the pH of any shampoos you currently use by buying some inexpensive pH strips and wiping a little of your shampoo onto one. 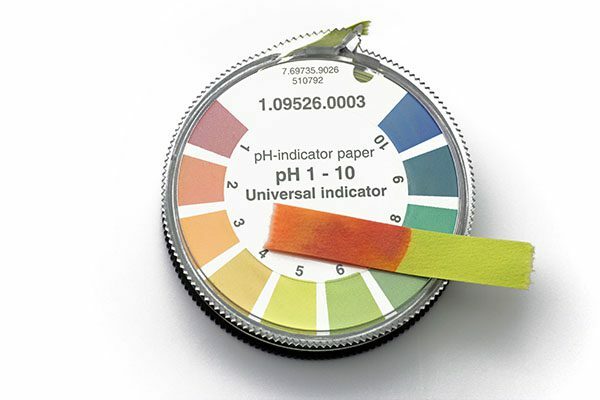 Haircare products should have a pH in the acidic range, typically somewhere between 4.0 and 5.5. Sodium lauryl sulphate was introduced globally more than 60 years ago as emulsifier or detergent. Alone, or accompanied by other surfactants, it is found in many cosmetic products, especially in shampoos. Studies on skin irritation of surfactants show that irritation is dependent on the structure of the sulphate. SLS and ALS are anionic detergents, that tend to be more irritating to the skin and eyes in comparison to amphoteric and non-ionic detergents (L. Rhein, 2007). Their ability to remove stratum corneum lipids means they penetrate the skin deeper into the viable layers and can cause immune reactions (Lémery et al, 2015). SLS is one of the cheapest and strongest surfactants used in skin care; it is also one of the most irritating. ALS has a very similar chemical structure and properties to SLS, but it has larger molecular size, making it a little less irritating than SLS. SLS is one of the cheapest and strongest surfactants used in skin care; it is also one of the most irritating. What to look for on a label: sodium laureth sulphate, ammonium laureth sulphate. Trying to make SLS and ALS less irritating, chemists created SLeS and ALeS, which are produced through process of ethoxylation. This resulted in surfactants that are indeed less irritating to the skin, but are regularly contaminated with 1,4-dioxane, a carcinogen byproduct of the chemical reaction. 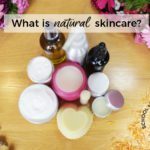 In addition, both of those surfactants are also known to elicit skin reactions such as irritant contact dermatitis or may cause inflammation. Though emulsions are often used to treat inflammatory skin disorders such as eczema, emulsions may also cause skin disorders because of the presence of surfactants added as stabilisers (Bárány et al, 2000). What to look for on a label: ingredient names starting with PEG eg PEG-100 Stearate or Polysorbate, eg Polysorbate 20. Polyethylene glycols are petroleum-based ingredients and are often used in haircare products, as solubilizers, detergents, and refattening agents. PEGs make it easier for other undesirable ingredients in your haircare products to penetrate deep into your scalp. PEGs have the potential to disrupt the skin’s and hair’s natural moisture balance, thus altering the surface tension of the skin or hair. PEGs often come contaminated with toxic impurities. Examples of these impurities are ethylene oxide and 1,4-dioxane. Studies have shown exposure to high concentrations of 1,4-dioxane may cause eye, skin, and respiratory irritation, nervous system effects, and liver and kidney toxicity (Stickney and Carlson-Lynch, 2014). Although ethylene oxide has exhibited a low carcinogenic potency in animal models, epidemiological studies have not conclusively linked exposures to ethylene oxide with carcinogenic outcomes in humans (Parod, 2014). Information on PEG toxicity is limited and contradictory, but they should be avoided to ensure safety. You can easily find PEGs among the listed ingredients (eg PEG-100 Stearate, PEG-40 Hydrogenated Castor Oil), but keep in mind that PEGs are also hidden under less obvious names, most typically ‘polysorbates’. These are a group of nonionic surfactants that help to hold water and oil together in conditioners, and also help dissolve other ingredients in water. Their name contains the word ‘polysorbate’ plus a number, which reveals how many PEG molecules it contains, eg Polysorbate 20, Polysorbate 60, Polysorbate 80, etc. Nowadays PEGs as solubilizers are replaced with polyglyceryl-ingredients, which are permitted in natural cosmetics. Information on PEG toxicity is limited and contradictory, but they should be avoided to ensure safety. Mineral oil is a byproduct of refining crude oil to make gasoline and other petroleum products. What to look for on a label: paraffinum liquidum, paraffinum, cera microcristallina, petrolatum, mineral oil or paraffin waxes. Mineral oil is a byproduct of refining crude oil to make gasoline and other petroleum products. It is very inexpensive, has a long shelf life and it is also quite an effective emollient. Due to these advantages to the cosmetic industry it is commonly used in haircare products, especially in hair conditioners and masks. Mineral oil doesn’t penetrate the hair, it just sits on the top of it, as opposed to natural oils like coconut oil. But the real problem with mineral oil is slightly more complicated. Mineral oils are mixture of complex hydrocarbons comprised of mineral oil saturated hydrocarbons (MOSH) and mineral oil aromatic hydrocarbons (MOAH). It has been proven that if MOSH are absorbed the body, they are stored in various organs and may cause damage to the liver and lymph nodes. MOAH are potentially carcinogenic and are prohibited in food substances by the European Food Safety Authority. Cosmetic-grade mineral oils are supposed to be highly purified and have all of the MOAH removed from them, so they only contain MOSH. Sadly, tests have shown that that’s not always the case. This issue is only problematic in lip care products, because some of the products gets ingested through the mouth. Otherwise, mineral oils are not absorbed by the skin (Lorenzini et al., 2010). You can find mineral oils under several different names: paraffinum liquidum, paraffinum, cera microcristallina, petrolatum, mineral oil or paraffin waxes. There are much better alternatives out there – vegetable carrier oils are great emollients, they contain beneficial fatty acids, vitamins and antioxidants, plus they are completely safe to be used on the lips as well! What to look for on a label: fragrance, parfum. We all love the appealing scent of cosmetic products, don’t we? Unfortunately, fragrances are only listed as ‘fragrance’ or ‘parfum’ on the label, but they are a complex mixture of many chemicals, which are not disclosed. This has raised some concerns as there have been some reported side-effects of these substances related to skin sensitivity, scalp itchiness, dermatitis, coughing, asthma attacks, migraine, etc (De Groot and Frosch, 1997, Bickers, et al., 2003). To enjoy a lovely odour during your skincare routine, choose products that are lightly scented with natural and gentle essential oils. It can be difficult to tell if a product contains synthetic fragrance or natural essential oils as both can be listed as fragrance or parfum on a label (companies are not required to declare which essential oils they use if they don’t want to). However, companies usually put an asterisk sign to the word parfum and write something like “from natural essential oils” in the notes under the INCI list. Many fragrances, natural and synthetic alike, contain allergens that are legally required to be listed at the end of a ingredient list. Typical examples are linalool, limonene, citronellol, benzyl benzoate, benzyl alcohol, etc. 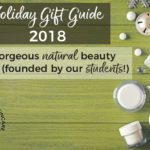 If they come from essential oils, they almost always have an asterisk sign next to them and a note “*from natural essential oils” is present under the ingredients list. Some of these are restricted by the FDA in the USA, to 10 parts per million of lead and arsenic due to their carcinogenic nature. Synthetic colorants are often incorporated in cosmetics and hair dyes to make them look ‘pretty’, however, the FD&C colors* used in these product types are derived from coal tar (a byproduct of petroleum). Some of these are restricted by the FDA, (Food and Drugs Administration) in the USA, to 10 parts per million of lead and arsenic due to their carcinogenic nature. A study conducted in 2009 found women who used permanent hair dye once a month for more than a year double their risk of bladder cancer (Jiang et al, 2001). In addition, Lake** colors can also be derived from coal tar and stimulate allergic reactions. (* In the United States, FD&C numbers [which indicate that the FDA has approved the colorant for use in foods, drugs and cosmetics] are given to approved synthetic food dyes that do not exist in nature. What to look for on a label: imidazolidinyl urea, DMDM hydantoin, diazolidinyl urea, methenamine, quarternium-15. Formaldehyde-releasing preservatives (FRPs) are used in many products to help prevent microbial contamination. Their formaldehyde-releasing ability makes them a potential allergen and toxicant in humans. Formaldehyde in cosmetics is widely understood to cause allergic skin reactions and rashes in some people (Flyvholm MA and Menne T, 1992; Boyvat A, 2005; Prat et al 2004). When checking for FRPs, look for ingredients called Imidazolidinyl urea, DMDM hydantoin, diazolidinyl urea, methenamine, and quarternium-15. There are more and more safer alternatives for cosmetic preservation available, they are usually present in certified organic products, where FRPs are forbidden. What to look for on a label: various ingredients including Dimethicone, Methicone, Trimethicone, Cyclomethicone, Amodimethicone, Trimethylsilylamodimethicone, Cyclopentasiloxane, Dimethiconol. Silicones are synthetically made polymers with structural backbone made of silicon and oxygen atoms. 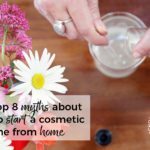 They have a unique, powdery dry skin feeling with an amazing slip, that’s the reason they are the main ingredients in makeup primers and foundations. They can also work as occlusives in moisturizers and body butters (where they lessen the greasy feeling on the skin). SIlicones are popular in hair care products as well, they are conditioning and detangling, plus they provide shine, which is why they are basic ingredient of hair oils. Maybe you’ve heard silicones ‘suffocate skin’ and prevent other ingredients from penetrating into the skin. That is not true. However, besides making the hair feel silky smooth and dry faster, they do not have any other benefits for it (like rejuvenating antioxidants and vitamins) – they make the hair look healthier and nicer, but that is just a temporary effect, they do not actually nourish the hair. They can also cause product build-up on your scalp, so if you use them very frequently, a clarifying shampoo is a must. Another reason you might want to avoid silicones is the fact that since they are not biodegradable, they are a problem for the environment due to bioaccumulation. There are several kinds of them, but you can recognize their names, which are ending in “-cone” or “-siloxane”: Dimethicone, Methicone, Trimethicone, Cyclomethicone, Amodimethicone, Trimethylsilylamodimethicone, Cyclopentasiloxane, Dimethiconol. What to look for on a label: methylparaben, ethylparaben, propylparaben, butylparaben, heptylparaben, isobutylparaben, isopropylparaben and benzylparaben. Parabens are a family of synthetic esters of p-hydroxybenzoic acid that share similar molecular structures and are widely used as preservatives. They are found in a wide array of products, from lotions, to body washes and shampoos. Paraben compounds, the most common being methylparaben, propylparaben and butylparaben, have been found to affect oestrogen levels, potentially impacting female reproductive health (Gao et al, 2016). This is further supported by a new study by Geer et al (2016), which found an association between antimicrobials and adverse birth outcomes in neonates. These findings are also consistent with animal data resulting in developmental and reproductive toxicity. There are many much safer preservatives out there; you will usually find them in natural or organic products. 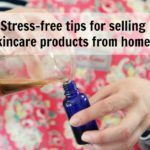 We're going to take you on a journey to help you move from where you are now to understand what formulating is and how you can create awesome haircare products from scratch (for yourself or to start a business). Yes, really! Formulating isn't just for Cosmetic Scientists, it's for you too. We're going to show you how. Laura A. Geer, Benny F.G. Pycke, Joshua Waxenbaum, David M. Sherer, Ovadia Abulafia, Rolf U. Halden, 2016, Association of Birth Outcomes with Fetal Exposure to Parabens, Triclosan and Triclocarban in an Immigrant Population in Brooklyn, New York. L. Rhein, 2007, C.3 – Surfactant Action on Skin and Hair: Cleansing and Skin Reactivity Mechanisms. Emmanuelle Lémery, Stéphanie Briançon, Yves Chevalier, Claire Bordes, Thierry Oddos, Annie Gohier, Marie-Alexandrine Bolzinger, March 2015, Skin toxicity of surfactants: Structure/toxicity relationships, 469:166-179. E. Bárány, M. Lindberg, M. Lodén, 2000, Unexpected skin barrier influence from nonionic emulsifiers, Int. J. Pharm., 195 (2000):189-195. Stickney, H. Carlson-Lynch, 2014, Dioxane, 1,4-Reference Module in Biomedical Sciences, from Encyclopaedia of Toxicology (Third Edition), Pages 186-189. R.J. Parod, September 2014, (Reference Module in Biomedical Sciences, from Encyclopaedia of Toxicology (Third Edition), 535-538. Lorenzini, R., Fiselier, K., Biedermann, M., Barbanera, M., Braschi, I., & Grob, K. (2010). Saturated and aromatic mineral oil hydrocarbons from paperboard food packaging: estimation of long-term migration from contents in the paperboard and data on boxes from the market. Food Additives & Contaminants: Part A, 27(12), 1765-1774. Ravoet J, Reybroeck W, de Graaf DC. Pesticides for Apicultural and/or Agricultural Application Found in Belgian Honey Bee Wax Combs. Bulletin of Environmental Contamination and Toxicology. 2015;94(5):543-548. doi:10.1007/s00128-015-1511-y. Jover, E., & Bayona, J. M. (2002). Trace level determination of organochlorine, organophosphorus and pyrethroid pesticides in lanolin using gel permeation chromatography followed by dual gas chromatography and gas chromatography–negative chemical ionization mass spectrometric confirmation. Journal of chromatography A, 950(1), 213-220. Flyvholm MA, Menne T, 1992, Allergic contact dermatitis from formaldehyde. A case study focusing on sources of formaldehyde exposure. Contact Dermatitis, 27(1):27-36.Boyvat A, Akyol A, Gurgey E, 2005, Contact sensitivity to preservatives in Turkey. Contact Dermatitis, 52(6):333-337. Boyvat A, Akyol A, Gurgey E, 2005, Contact sensitivity to preservatives in Turkey. Contact Dermatitis, 52(6):333-337. Yanpeng Gao, Yuemeng Ji, Guiying Li, Taicheng An,, 2016, Theoretical investigation on the kinetics and mechanisms of hydroxyl radical-induced transformation of parabens and its consequences for toxicity: Influence of alkyl-chain length, Water Research, (91) 77-85. 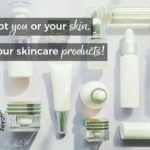 It’s Not You or Your Skin, It’s Your Skincare Products! 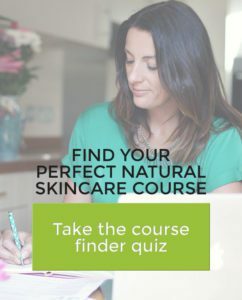 Sign up for our free newsletter and get our best product making tips, expert formulating advice and course offers... plus our Natural Beauty Recipe Book. 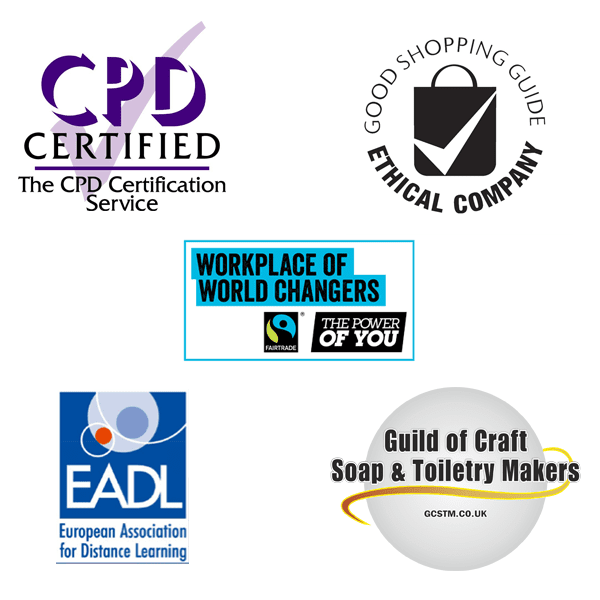 “Now I’ve completed the Certificate in Making Natural Skincare Products, I really want to say a BIG thank you for teaching me this knowledge! I continued experimenting with my own products, such as a serum oil for congested oily skin and blocked pores. The results are bombastic! Only one overnight application and next morning the blackheads and whiteheads were easily removed! My oil massage works great, especially for the joints, and it healed cramped and numb muscles. The School of Natural Skincare is a trading name of Goodness & Wonder Ltd, Company Registration Number: 8844378. Registered address 432 Gloucester Road, Bristol, BS7 8TX, UK. VAT registration number GB204082453. We’re here to help and assist you. If you have any questions, you can send us an email at hello@schoolofnaturalskincare.com or use our contact page. 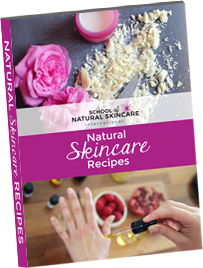 Make your own skincare products using luxurious natural ingredients with our FREE Recipe Book! 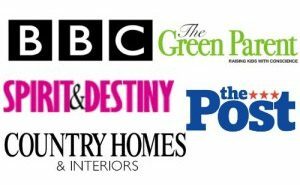 Sign up for our free newsletter and get it delivered straight to your inbox... it's free!